A backflow preventer and reduced pressure backflow (RPZ) protects potable water from cross contamination from fire sprinkler water. Total LifeSafety Corporation offers complete a inspection, installation, and repair, to for all of your needs. 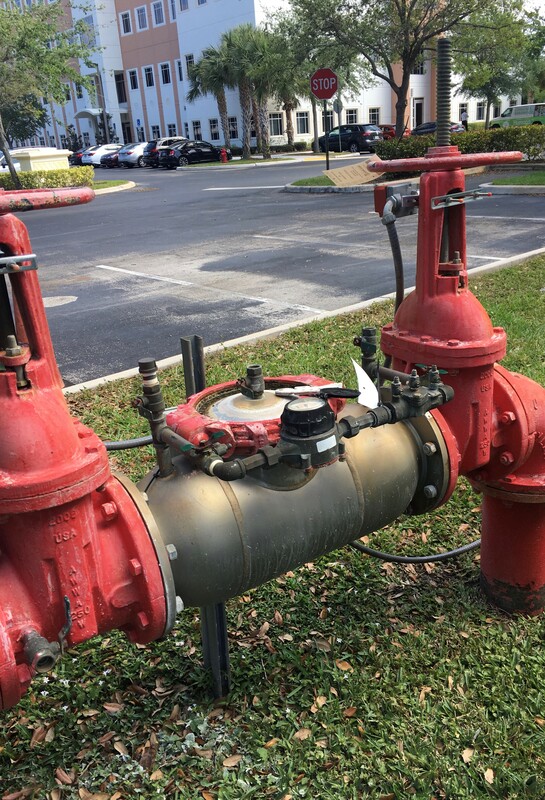 We are a fully fire sprinkler company, with a Class II licensed by the State of Florida contractor for fire sprinkler and certified for backflow prevention, assembly, test, and repair, per A.W.W.A.. We are certified in full compliance with Florida Administrative Code for service, repair, and installation. We can save you time and money by eliminating the need for separate contractors for all of your needs from your city water underground supply, to your building designated fire line. Most utility companies require backflow preventer inspections annually. Our technicians are NICET and A.W.W.A certified and have been actively working in the life safety and critical systems industry for an average of 10 years. Our inspections follow the stringent guidelines set forth in the Florida Statutes, National Fire Protection Association (NFPA), A.W.W.A and all local county/ utility requirements. Following the inspection, our technician will provide you and the local utility company with a detailed report. All of Total LifeSafety Corporation’s technician’s are certified to test and repair all sizes of fire sprinkler backflow devices. These devices are complex and are the component responsible for preventing potable from being contaminated by fire sprinkler water. The internal parts of a backflow consist of springs, seals, and moving parts. As such, proper testing with the proper calibrated gauge equipment is imperative to ensuring the system is working properly and the drinking water is uncontaminated. 24 hours a day, 365 days a year, Total LifeSafety Corporation technicians are specifically certified in backflow devices and are equipped and ready to service your fire backflow emergency repairs.